In this episode we’re to going to listen to Mohamed who tried Practice Test 17 on the subject of ‘weather’. and say how you felt about this experience. Back in 2013 here in Egypt in Cairo I was doing my military service and … it was really harsh cold winter in December and … it was one of those winters where actually Egypt got snow for … like one time in a million because it rarely snows here … especially it snowed around … like New Cairo areas where it was mostly desert … at my military camp … I didn’t get much snow as we got heavy showers and rain … and .. because at the military camp the ground was mostly soil … the rain turned the soil into sticky mud and at night it was very hard to see because we didn’t have any light posts so we had to rely on flashlights and be very careful where we are stepping so we won’t slip into a slippery mud hole and you know get our clothes all dirty it was really a horrific experience for me and I really wish it never occur again in my life. Mohamed responded appropriately to the task and everything he said was relevant to the question. However, his talk only lasted about 1 minute and he should practise giving a fuller answer that gets him closer to 2 minutes. Now listen a second time. 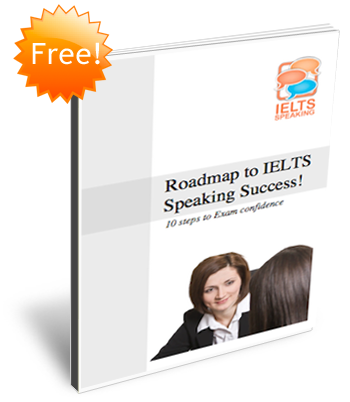 How well do you think Mohamed did using the IELTS assessment criteria? Mohamed’s use of English was very good, with well-formed statements and very few mistakes. However, can you spot the error in this extract? There were a couple of occasions where Mohamed used the wrong words. ‘especially’ would be better as ‘in particular’ as in ‘in particular, it snowed around New Cairo’. Mohamed should have used ‘hope’ instead of ‘wish’ as he is referring to the future. Mohamed’s speech is very fluent indeed. There were no undue hesitations or pauses and his speech rate and delivery of connected speech was virtually at native-speaker level. Mohamed has very clear pronunciation and there were no occasions where his pronunciation would cause the listener difficulties. He pronounced ‘stepping’ as ‘shtepping’ but apart from this there were no errors. That’s the end of this lesson. 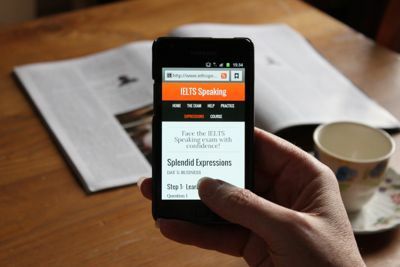 Why not try this task yourself using Practice Test 17 on the ieltsspeaking website.